Attending The Symphony is a special event and many patrons dress to impress, especially at evening concerts. Others dress more casually or for comfort. You can never go wrong with business casual or cocktail attire and might want to avoid flip-flops, shorts or very casual attire. To celebrate our “Sapphire Season” we are asking patrons to wear blue to our “Rhapsody in Blue” Gershwin concerts, February 1-2, 2019 (p.s. maybe not denim cut-offs). The music begins. Of course, you have silenced your phone and tucked it away. While the musicians are playing, please do not talk or rifle through your program. We ask that you do not exit while a piece is in progress, unless of course it is urgent for you to do so. Ushers are always available to assist you. The musicians love your applause, but sometimes when to applaud can be confusing. The first thing you should do is refer to the music listing in your program, where you will see the pieces that will be played and the number of movements in each piece. Please applaud when Maestro returns after Chris Kasten, executive director, brings him on stage. In most classical concerts, the audience waits until the end of each piece to clap. Symphonies have a momentum that builds and clapping can distract the musicians and the audience. If you’re not sure that a piece is over, pay attention to the Maestro who will appear to relax and will lower his baton (if he’s using one for that piece). He may also turn around. When in doubt, just wait until the rest of the audience starts applauding, then clap and cheer to your heart’s content. 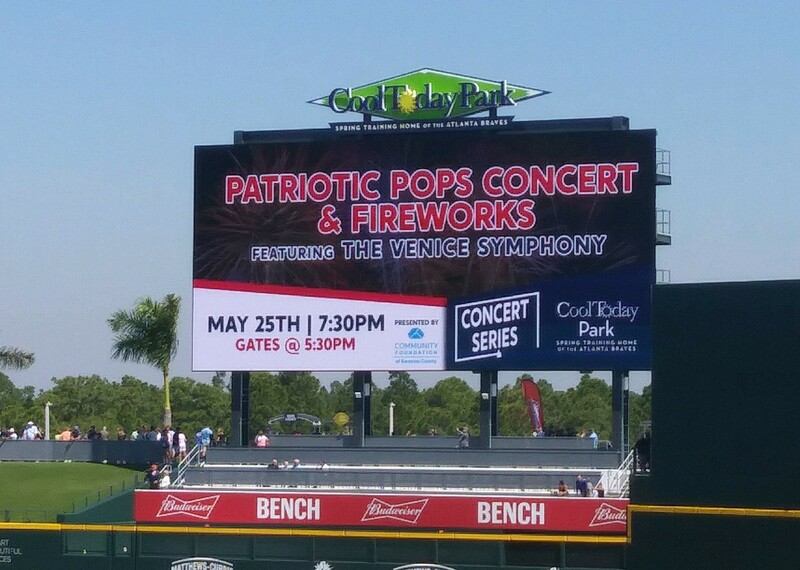 Venice Symphony Orchestra concerts begin promptly at the announced starting time. We recommend arriving 30 minutes prior to the concert start time in order to park and find your seat before the concert begins. Even better, plan to attend our Meet the Maestro and Guests pre-concert talks sponsored by Bank of America. They begin at 2:15 pm before the afternoon concert and 6:15 pm before the evening performance and are free to the public. If you are unexpectedly delayed, in deference to our artists and the audience, late seating will take place during the first appropriate pause in the program. Reserved seats are not guaranteed after the performance starts. Latecomers may be seated in the back of the hall. Patrons who leave the hall before or during a piece, may not be reseated until after that piece is over. We ask that you remain in your seat until the concert has concluded, but we know you won’t want to miss a moment of your concert! No food or beverages are allowed in the concert performance hall. Water is available by donation at The Friends of The Venice Symphony information table before the concert and at intermission.